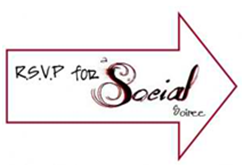 A Social Soiree Twitter Party: RSVP NOW! You are here: Home / FREEbies / A Social Soiree Twitter Party: RSVP NOW! I told you about the Social Soiree Twitter Party I am helping to plan. Remember there are over $1500 in prizes and you can RSVP NOW! 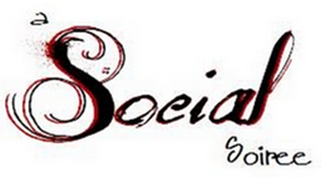 The Social Soiree – has gained a few new sponsors and I wanted to tell you about them! I’m excited to share these companies and their products with you. These two new sponsors may be new to you, but I hope you check them out. Davidson’s Safest Choice Eggs – Using a proprietary process to pasteurize eggs in the shell, Safest Choice Eggs offer a unique product for those who are concerned about food safety. Whether you’re cooking or baking with raw eggs, pasteurized eggs offer you peace of mind. In addition, some people need to be more concerned with food safety. The FDA has indicated that people with certain illnesses or lowered immunity should only eat pasteurized eggs. Safest Choice Eggs don’t compromise taste or quality in providing you with a safer food product. See if where you can buy them by checking the store locator and sign up for a coupon to try them. Dollar Shave Club – If you’ve been reading for even a short time you know that when razors go on sale the best we can usually do is about $1.00 each. When I first heard about Dollar Shave Club I thought it would be a great idea for busy men and women who like to save but don’t alway have the time to wait for sales or space to stockpile razors or blades. This is a new company and the owner figured there were people like him who wanted a close shave without breaking the bank or constantly having to run to the store. For about $1.00 a month you get 5 Ninja twin-blades. Who really needs more blades or a light up and vibrating handle? Great for men or woman, and very convenient! I’ll get to meet the owner so if you have any questions let me know. I know you may not be coming to the conference but I sure hope you’ll join in the Twitter party because we have over $1,500 worth of prizes to share from our sponsors. Join A Social Soiree on Wednesday, July 27th from 9pm – 10pm (EST) by following the hashtag #SocialSoiree! Be sure you RSVP in advance to be eligible to win prizes and we can be sure to follow you in advance!